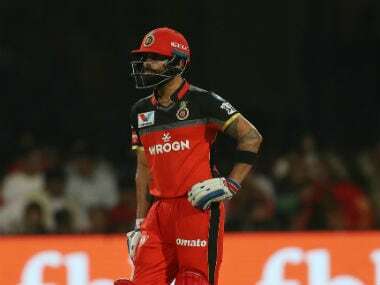 Chasing 198 runs for a win, Pollard, the stand-in captain following Rohit Sharma’s leg injury, promoted himself up the order. 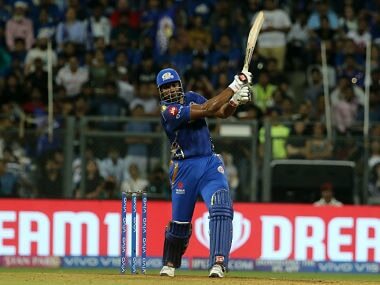 After 10 overs, MI needed 133 runs from 60 balls, still fancying their chances with the big-hitting Pollard at the crease and another fine finisher Hardik Pandya to follow. However, Mohammed Shami removed both Pandya brothers, Hardik and Krunal, in the space of four balls. It was then the Pollard show, as he almost won the game single handedly with his 31-ball knock, hitting Punjab’s bowlers for 10 sixes and three fours. The burly West Indian was dismissed on the second ball of the last over with four needed for victory from final five balls. 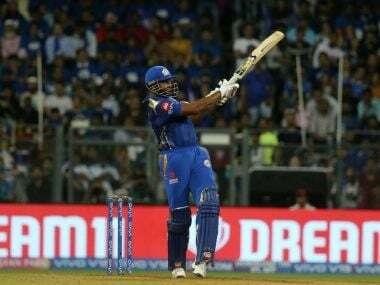 With two runs required off the final delivery, Alzarri Joseph and Rahul Chahar stole two runs to win a thrilling victory for Mumbai. Earlier, Kings XI Punjab had a great start to their innings as Chris Gayle looked in a murderous mood. He belted 63 runs from 36 balls and shared a 116-run stand with fellow opener KL Rahul. 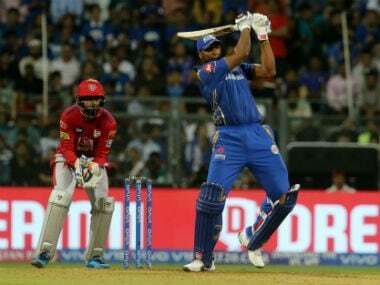 Gayle's dismissal in the 13th over slowed things down but Rahul punished Hardik Pandya by hitting three sixes and a four in the 19th over which went for 25 runs. Rahul scored his first IPL century, making 100 from 64 balls as Punjab reached 197/4 in 20 overs. But his fluent century was eclipsed by Kieran Pollard’s heroics on a night tailor-made for the West Indian to shine in one of the best matches this season. Indian women’s team opener Smriti Mandhana bagged the women's Leading Cricketer of the Year. She bagged the honor after scoring 669 and 662 runs in ODIs and T20Is last year. She also made 421 runs at an astounding strike rate of 174.68 in the women's Super League. India continued to maintain pressure, with tight marking inside the circle giving Malaysia no real chance to take a shot on goal. Having missed out on penalty corners, India looked for a potential opportunity, and Navneet Kaur set up a splendid goal for Lalremsiami who made a diving effort to help India win. The young player’s sensational 55th-minute goal ensured that India secured a narrow win in a hard-fought contest. India won the first two matches 3-0 and 5-0 but were held to a draw in the previous game. Speaking about the 3-0 lead in the series, Marijne said, "Winning is fine but what's more important for me is that we play good, structured hockey. If we tick the right boxes, winning will eventually happen and I would like to see us end the last match tomorrow on the same lines as we played the third and fourth quarters today — fewer mistakes and good energy." In the men’s singles draw, sixth seed Kidambi Srikanth defeated Thailand's Sitthikom Thammasin 21-17, 21-18 in a 41-minute match. He will lock horns with Denmark's Hans-Kristian Solberg Vittinghus in the next round. 2014 Commonwealth Games champion Parupalli Kashyap continued his good form with a 21-19, 21-14 win over world number 28 Rasmus Gemke of Denmark to set up a clash with Olympic champion Chen Long of China. Sameer Verma defeated Thailand's Suppanyu Avihingsanon 21-14, 21-6 and will face China's Lu Guangzu in round two. HS Prannoy came back from a game down to win 11-21, 21-16, 21-18 against Brice Leverdez of France. Prannoy’s next match will be another tough duel - he will face off against top seed and world no 1 Kento Momota of Japan. Momota himself survived a scare against 2017 champion B Sai Praneeth. The Indian shuttler put up a stiff resistance before losing 21-19, 14-21, 20-22 to the reigning World champion. Pinki blanked Gottlob 5-0 as India’s boxers assured themselves of at least a couple of medals. The seven-member Indian contingent is assured of at least a silver medal and a bronze through Meena Kumari Maisnam and Pwilao Basumatary. With just three boxers in the fray in the 54 kg category, Strandja Memorial gold medalist Maisnam has already entered the final. In a similar scenario in the 64 kg category, Basumatary, a bronze medalist at Strandja Memorial, made it to the semi-finals in a field with just five pugilists.